Is pain in the middle portion of your feet making life miserable? We’re going to try to fix oversight, at least to some extent, over the rest of this blog. However, we’ll skip to the main conclusion first: If the middle of your feet hurt, don’t wait and see if it gets worse. Give us a call so we can diagnose and treat you. From the outside, it seems like there isn’t much going on in the middle portion of the foot. But under the skin, things are much more interesting. The cuboid bone on the outside (lateral) edge of the foot, so named because it kind of looks like a rough cube with some pieces missing. Three cuneiform bones, which are sandwiched between the navicular and the first, second, and third metatarsals. Speaking of metatarsals, you have five of them. They are long, skinny, and run underneath the arch and ball of the foot, where they attach to each of the five toes. The joint (actually more like a “joint complex”) where the “clump” of tarsal bones meets the metatarsals is known as the Lisfranc joint. A ton of muscles, tendons, ligaments, and bones all come together here. The Lisfranc area--in other words, the middle of your foot—plays an extremely important role in stabilizing your arch and cushioning your steps so you can walk comfortably. Unfortunately, all this complexity means a lot of different conditions can emerge and cause problems. Now, back to the question we posed at the top of the blog: Why does the middle of my foot hurt? That’s a good question, and there are many possible answers. Sprains. Many ligaments and tendons run across and around the top and bottom of the arch. These connective tissues have various functions, including supporting the arch and allowing it to flex, holding bones in proper alignment, etc. If they are stretched too far or torn, they may become loose. This can destabilize the entire joint complex. Dislocations. A bad enough sprain can push or pull one or more midfoot bones out of position. The first and second metatarsals (on the inside of your foot) are especially susceptible to dislocation since they are not held together by any ligaments. However, a serious dislocation can shift the entire joint complex out of position. Fractures. Midfoot fractures can come in three basic varieties. In a “standard” fracture, a bone develops a serious crack or breaks completely in two. In an avulsion fracture, a small “chip” is pulled away from the rest of the bone. Finally, hairline cracks in bones (stress fractures) may develop after chronic overuse, particularly in the metatarsal bones. Traumatic impacts. Automobile accidents are a frequent cause of midfoot injuries. You might also have dropped something heavy on your foot, or taken a long fall of a roof or ladder. It’s high-energy impacts like these that tend to be responsible for the most serious dislocations and fractures. Low-energy traumatic injuries. Then again, you don’t have to wreck your Honda to injure your midfoot. Often, a simple twist and fall is more than enough to sprain the ligaments on the top or bottom of your midfoot—or maybe even break or dislocate something. You might suffer this kind of injury on the soccer field, or even by missing a stair or curb. Have a highly active occupation that keeps you on your feet—factory worker, military personnel, etc. Play high-impact contact sports—especially those that feature a lot of cutting and twisting motions, like soccer, football, or basketball. So, What Should You Do About Pain in the Middle of Your Foot? This one’s easy. Give Absolute Foot Care Specialists a call. As with any other painful foot condition, a midfoot injury should be remedied as quickly as possible. This area of the foot is especially vulnerable to chronic pain, destabilization, and re-injury if you try to shrug off the pain and don’t seek help. 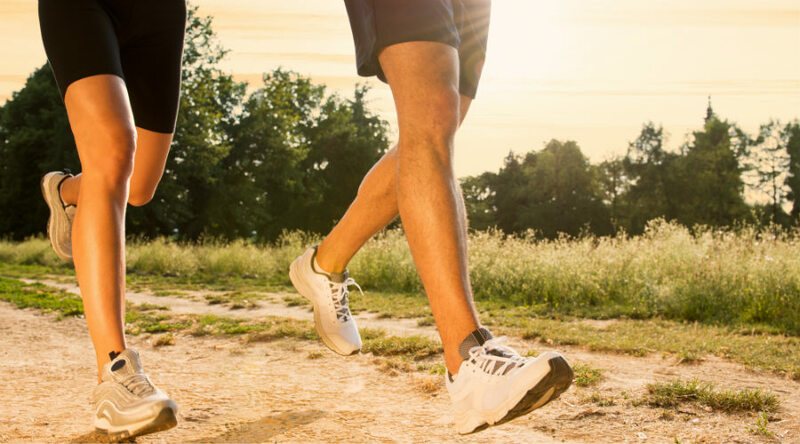 Our foot care specialists offer advanced diagnostic equipment that can help us determine the exact location and nature of your injury. We can then offer a personalized treatment plan to suit your needs. Sometimes a midfoot injury can be remedied with conservative treatments like immobilization, physical therapy, and possibly custom orthotics. More serious injuries may require surgery. Either way, we’re here for you. To schedule with us at either of our Las Vegas locations, please dial (702) 839-2010 today.